Sleek and versatile, suited to displaying your craft accessories, bathroom toiletries, makeup, pantry goods, cleaning and laundry products, stationery or toys. 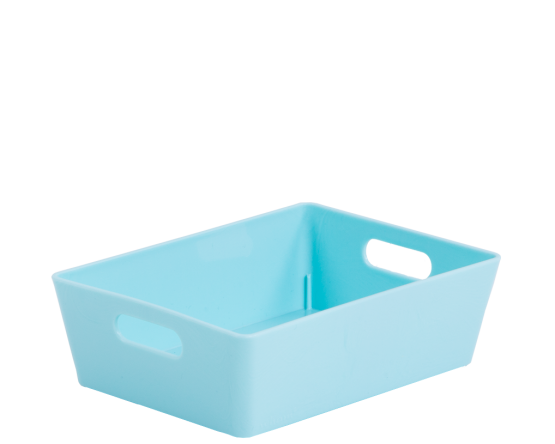 The handle aids easy access to slide the baskets when stored on shelves. Approx. 770ml.